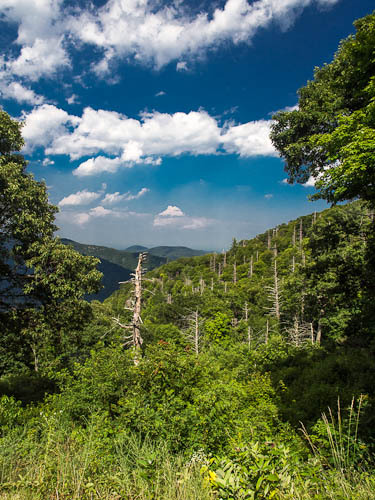 One way to get away from the heat is to go to higher elevations. 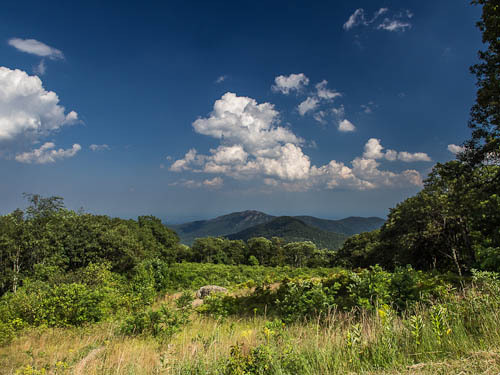 The other day I took a ride down to Shenandoah National Park and drove the southern 65 miles of Skyline Drive. The only other time in recent memory that I went there was in October 2007 and then the views were less than spectacular due to heavy haze. This time the haze was much less with clear sky and nice puffy clouds. 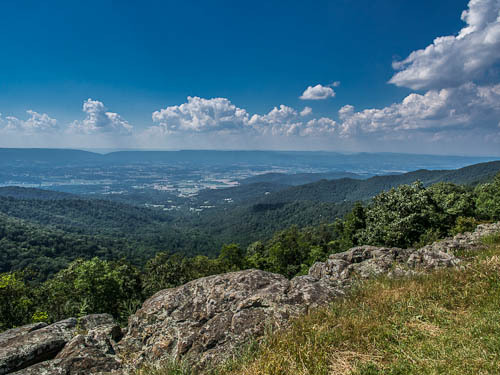 The view looking west across the Shenandoah Valley from about 3,177 feet elevation. There were times when it was hard to believe that this place was on the edge of one of the largest metropolitan areas in the country. Looking east (towards Washington) from almost 3,500 feet the mountains in the distance seemed to go on forever. As I worked my way along the drive, I started to notice some unusual haze, what turned out to be smoke from forest fires in the valley. 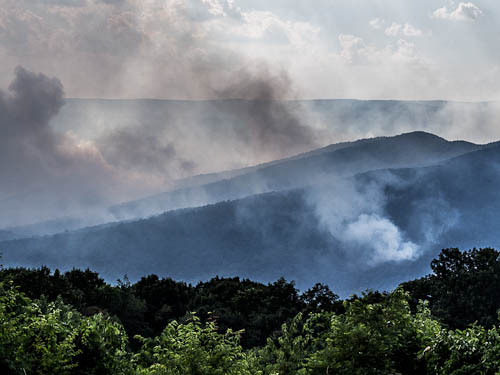 The fires were reportedly started by lightning strikes earlier in the week. 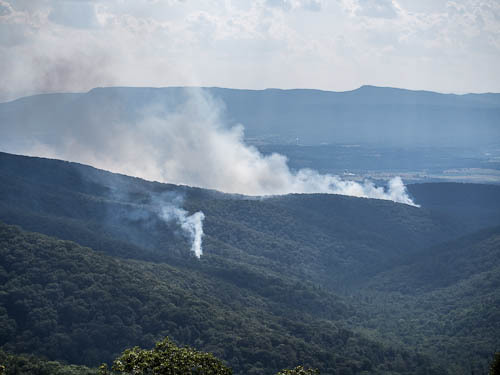 At one of the overlooks it was quite obvious what was happening and the smell of smoke was in the air. ~ by Admin2 on July 4, 2012.